Even though Denmark is a relatively small country with approximately 5.5 million inhabitants, Danes have access to a high number of international and domestic air routes, and the Danish capital, Copenhagen, is the largest centre for air traffic in the Nordic region. The Danish civil air sector was liberalised in the mid-2000s, resulting in a better access to the market and a more efficient competition between air carriers. This has led to the entrance on the market of cheaper air carriers and growing pressure on established air carriers. The Danish civil air sector is to a high degree governed by market mechanisms. As such, the establishment of new routes, determination of ticket prices, frequencies, etc., are all based on market-related considerations. However, at the same time the civil air sector is subject to detailed legislation, namely in relation to safety and security standards. 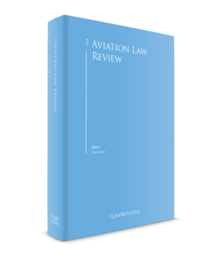 Civil aviation within Danish airspace is governed by the Aviation Act as well as a number of EU regulations as detailed below. The Danish Ministry for Transport has the overall responsibility for maintaining the Aviation Act while the Danish Transport Authority has the administrative powers under the Act in relation to supervision, authorisations, registrations, etc. Foreign air carriers must be given access to Danish airports under the same conditions as Danish air carriers when a multilateral or bilateral agreement between Denmark and the foreign state in question so warrants. As Denmark is an EU Member State, Danish airports must give equal access to Danish and other EU air carriers. The allocation of slots in Denmark is governed by Council Regulation 95/93 on common rules for the allocation of slots at Community airports, which obligates Community airports to allocate slots based on neutral, transparent and non-discriminatory terms. The Danish civil aviation sector employs approximately 45,000 people. All air carriage within Danish airspace is governed by the liability provisions in the Danish Aviation Act (see the Aviation Act, Section 1). The Aviation Act incorporates the liability regime introduced by the Warsaw Convention of 1929 and passed on by the Montreal Convention of 1999. The Aviation Act is supplemented by a number of Ministerial Orders and Provisions for Civil Aviation (BLs) issued by the Danish Transport Authority, which contains detailed and technical requirements for air carriers. The Aviation Act, Chapter 9, governs the carrier's liability for damage to passengers and transported goods, while Chapter 10 governs liability for personal injury or damage to goods caused outside the aircraft (see Section VII). Denmark is a party to both the Warsaw and Montreal Conventions. As an EU Member State, Denmark is further governed by Council Regulation 261/2004 as amended by Council Regulation 889/2002 on air carrier liability, Council Regulation 261/2004 on passenger rights, Council Regulation 2407/92 on licensing of air carriers and other relevant EU legislation. Denmark has ratified the Warsaw Convention as amended by the Hague Protocol of 1995 and the Montreal Conventions. Both are implemented (partially) in the Danish Aviation Act. As such, the liability provisions in the Aviation Act are modelled upon the provisions in the Montreal Convention (see Section VII). Non-convention carriage is governed by the Aviation Act insofar as the air transport took place within Danish airspace. Air carriers' liability for delays is described in Section VII. Further, EU Council Regulation 261/2004 applies in Denmark. Air carriers are subject to a number of general rules and regulations governing Danish undertakings. Under the Danish Competition Act, companies including air carriers may be fined for violations of the Act, including agreements restricting the competition on the market (cartels) and abuses of a dominant market position. The Competition Act is detailed in Section VI. Air carriers are further subject to the general provisions and principles regarding torts and product liability. Under the Danish general principles of tort, air carriers will generally be liable for damage resulting from the carrier's negligence, although the carrier's liability is modified by the Aviation Act (see Section VII). Under the Product Liability Act, manufacturers are subject to a strict liability for any personal injury or damage to consumer goods caused by products produced by the manufacturer. In relation to damage to business goods, manufacturers will be liable if the damage resulted from negligence on the part of the manufacturer. Air carriers are subject to the Danish environmental legislation including the Environmental Protection Act, under which undertakings may be fined for violations of the Act. Under the Aviation Act, Section 75, any regular air transport for commercial purposes requires authorisation from the Minister of Transport, with a few specific exceptions, for example, in cases of transport of family or close friends or if the transport was not publicly announced. Further, air shows require authorisation even when not performed for commercial reasons. Authorisation will be given for a specific time and under certain conditions as found necessary. Authorisation is obtained by applying to the Ministry of Transport. Domestic air transport may only be authorised for aircraft registered in Denmark (see Section III.ii). Any person who violates or attempts or conspires to violate Section 75 may be punished by a fine or by imprisonment for up to four months (see Section 149). Regulation 1008/2008 applies in Denmark and is enforced by the Transport Authority. Danish aircraft must be registered with the Transport Authority and must be in possession of a certificate of registration to be approved for air transport. the owner is domiciled in Denmark and the aircraft is based in Denmark. Further, aircraft must be in possession of a certificate proving its airworthiness to be registered. These certificates are issued by the Danish Transport Authority. When the aircraft is registered with the Transport Authority it will be considered to be of Danish nationality. Under Sections 122 and 130 of the Aviation Act, the owner of the aircraft must be able to document that the aircraft is insured for an amount equal to the owner's potential liability under the Act. Foreign aircraft flying within Danish airspace must be in possession of a certificate of nationality and registration or similar, as applicable, as well as a certificate proving airworthiness to gain authorisation to operate. As to the documents executed in the foreign state there must be an agreement based upon the privilege of aviation between Denmark and the foreign state (see Sections 2 and 20). Under the Aviation Act, Section 75, any regular air transport for commercial purposes within Danish airspace requires authorisation from the Minister of Transport. Carriers must at all times be airworthy. A certificate of airworthiness is issued by the Transport Authority upon inspection of the aircraft in question. Foreign carriers must obtain either a Danish certificate of airworthiness or an equivalent and recognised certificate from another state. The Danish Transport Authority carries out regular inspections to ensure the airworthiness of aircraft in operation. The inspections are further regulated through detailed ministerial orders (namely BL 1-12, 1-4, 1-7, 1-8, 1-16, 1-17 and 1-20), including in relation to intervals, requirements, etc. A certificate of airworthiness is invalid if the aircraft in question has not been subject to the required inspections, if the aircraft has been changed in any way deemed significant in relation to its airworthiness, if the aircraft has been damaged or if the requirements for insurance coverage are not met. The owner or carrier is responsible for ensuring the adequate staffing of the aircraft. Pilots and crew members must obtain a certificate from the Transport Authority. A certificate will be issued only if the pilot or crew member meets the requirements specified in relation to his or her profession in relation to education, training, experience, age, tests completed, etc. The specific requirements are set out in BL 6-03. All aircraft registered in Denmark must appoint an aircraft superior whose duty it is to ensure that the aircraft is airworthy and adequately staffed, and that the flight is conducted in accordance with applicable rules. The aircraft superior must further supervise the crew and passengers. If there is reason to believe that an aircraft is not airworthy or adequately staffed, the Transport Authority may deny take-off and detain the aircraft until the inadequacies have been corrected (see Section 145). In the event of an accident, the aircraft superior must report the accident to the Danish Accident Investigation Board. If the aircraft superior is not able to report the accident, the obligation lies with the owner or carrier. The requirements for notifications of accidents are regulated in detail in BL 5-40. Under the Aviation Act, Section 122, the air carrier must be able to document that insurance has been taken out with a sum sufficient to cover any liability towards passengers or baggage or goods. Under Section 130, the owner of an aircraft used within Danish airspace must maintain insurance coverage sufficient to cover the owner or carrier's liability in relation to damage caused to persons or goods outside the aircraft. These provisions are mandatory and without exceptions. for liability in respect of cargo: a minimum insurance cover of 17 SDR per kilogram in commercial operations. In respect of liability for third parties, the minimum insurance cover required will depend upon the maximum take-off weight of the aircraft in question, ranging from 750,000 SDR for aircraft weighing less than 500 kilograms to 700 million SDR for aircraft weighing more than 500,000 kilograms. Air carriers must deposit an insurance certificate with the Danish Transport Authority. If the mandatory insurance provisions are not complied with the aircraft's certificate of airworthiness will be invalid (see Section 26 of the Aviation Act). Accordingly, foreign certificates of airworthiness will not be recognised as valid if the mandatory requirements for insurance coverage are not complied with. The Danish Competition Act (Consolidated Competition Act No. 23 of 17 January 2013) comprises two provisions of major relevance: Section 6, prohibiting restrictive agreements; and Section 11, prohibiting abuse of dominance. Section 6 prohibits agreements, concerted practices and decisions having as their direct or indirect object or effect the prevention, restriction or distortion of competition. The term 'agreement' is broad and includes informal understandings, 'gentlemen's agreements' and standard terms and conditions of sale. A concerted practice may exist if two undertakings, without entering into an agreement, undertake coordinated behaviour that restricts or distorts competition in the market. Prohibited agreements are null and void and cannot be enforced. the parties (regardless of their market shares) have an aggregate annual turnover of less than 150 million kroner. the arrangement between the parties ensures that consumers receive a share of the advantages, without placing restrictions on the parties that are not indispensable to the attainment of these objectives. The Competition Council may issue orders directing undertakings to bring prohibited agreements or behaviour to an end or, at the Council's discretion, negotiate binding commitments to resolve the issue. Section 11 prohibits the abuse of a dominant position. To determine whether an undertaking holds a dominant position in any given market, it is necessary to define the 'relevant market' in terms of products or services and the relevant geographical area. Secondly, if an undertaking has a market share of more than 40 per cent, there is a rebuttable presumption that it holds a dominant position. A market share of more than 50 per cent is in itself conclusive evidence of a dominant position. Other relevant aspects may be barriers to entry, sunk costs, vertical integration, economies of scale, etc. Collective dominance may exist where separate undertakings adopt the same conduct in the market (non-coordinated effects). Such behaviour can constitute abuse of this collective dominance, even if none of the undertakings can be said to hold dominant positions individually. The abuse of a dominant position may be evidenced by a variety of activities, including the imposition of unreasonable purchase or sales prices on other parties, the use of discriminatory terms and conditions towards trading partners, and a refusal to supply. Since an amendment to the Danish Competition Act entering into effect on 1 March 2013, sanctions for infringing the Act have been tightened significantly. Fines for infringement of the Act can be imposed where behaviour is negligent or intentional. Fines are calculated on the basis of the gravity and duration of the infringement and the turnover of the undertaking in question. Fines of more than 20 million kroner may be imposed for the most severe infringements. Fines may be imposed on persons as well. Personal fines may amount to 200,000 kroner and upwards for the most severe infringements. With the amendment, persons involved in cartel infringements may be imprisoned for up to six years. Imprisonment as a sanction is yet to be seen in practice. The Danish Competition Act comprises a leniency programme for cartel infringements. Cooperation with the authorities in a cartel investigation may lead to a reduction in any fine of up to 100 per cent (for the first applicant), up to 50 per cent (for the second applicant), up to 30 per cent (for the third applicant) or up to 20 per cent (for later applicants). The amount of the reduction is left to the discretion of the authorities. Compensation for wrongful death is, as a main rule, limited to compensation for loss of dependency and funeral costs (see Section VIII). However, if the death was caused as a result of intent or gross negligence, the surviving relatives may claim additional compensation. Such compensation will rarely exceed 100,000 kroner. Passengers may bring their complaint against air carriers under Regulation 261/2004 in relation to compensation for delays or cancellations before the Danish Transport Authority. Claims for damages are settled through the Danish courts. Under the Aviation Act, Section 118, claims for damages relating to damage to passengers, baggage or goods must be submitted to the Danish courts within two years from the aircraft's arrival at its final destination, the intended time of arrival or from the time when the carriage was interrupted (e.g., the time of the accident). Generally, Danish court cases will be resolved within one year from the submission of the complaint, although complex disputes may take substantially longer. Under the Aviation Act, the air carrier is subject to a strict liability for damage to passengers, while the owner is under a strict liability for damage to persons or goods outside the aircraft (detailed in Section VII.ii). However, claims may be brought against pilots, manufacturers, etc., under the general rules on tort under Danish law. The aggregated claim against the carrier and crew members can never exceed the limits of liability provided by the Aviation Act (see Section VII.ii). Claims are generally brought against the carrier or owner (depending on the type of damage) because of the strict liability under the Aviation Act. Pilots and crew members are rarely joined in the proceedings and will as a general rule not be found liable if the injured has also claimed compensation from the owner or carrier. Chapter 9, Section 106 provides that the carrier is liable for injury or death caused to passengers while on board the aircraft, including embarking and disembarking. The carrier's liability includes liability for loss of provider (i.e., compensation to a surviving spouse or children). However, Section 111, Subsections 1 and 2, provides that the carrier is not liable for damages exceeding 113,000 SDR for each passenger if the carrier can establish that the damage was not owing to any negligence on the part of the carrier or if the damage was owing exclusively to negligence from a third party. The carrier's liability cannot be limited to less than 113,000 SDR. In the event of an accident causing personal injury or death to a passenger, the carrier is obligated to make an advance payment of no less than 16,000 SDR to the person entitled to compensation. The advance payment must be made immediately and no later than 15 days after the person entitled to compensation has been identified. Section 107 provides that the air carrier is liable for damage to luggage caused while on board the aircraft or while in the carrier's care, unless the damage was due to deficiencies in the goods. The carrier is liable for damage to passengers' hand luggage if it is the result of its negligence. However, the carrier's liability for damage to luggage cannot exceed 1,131 SDR per passenger (see Section 111, Subsection 4). Under Section 108, the carrier is liable for damage to transported goods caused while in the care of the carrier unless the damage was the result of deficiencies in the goods themselves, insufficient packaging, acts of war or acts from public authorities. The carrier's liability is limited to 19 SDR per kilogram of goods. Under Section 109, the carrier is liable for damage caused by delays in the transport of passengers or goods, unless the carrier can establish that the carrier had taken all measures that could reasonably be expected of the carrier to avoid the damage or that the damage was unavoidable. Under Section 111, Subsections 3 and 4, the carrier's liability for delays is limited to 4,694 SDR in relation to passengers and 1,131 SDR in relation to the transport of goods. In the event of damage to persons or goods outside the aircraft, the owner is subject to strict liability. However, the owner will not be liable to pay compensation if the injured party himself or herself caused the damage by wilful misconduct or gross negligence. In the event of damage to persons or goods located within the area of an authorised airfield the owner will not be liable under the Aviation Act. In this case the general Danish principles of torts will apply, according to which the carrier is liable if the damage was owing to negligence on its part. If the owner has transferred the use of the aircraft to an independent operator, who has assumed the full responsibility for the operation and maintenance of the aircraft, the operator will assume the liability under the Aviation Act instead of the owner. Under Danish law, product liability is governed by two different sets of rules. Personal injuries and damage to consumer goods is governed by the Product Safety Act (which is based upon the Product Safety Directive 85/374) while damage to business goods is governed by the principles on tort established through case law. Under the Product Safety Act, which will generally apply in relation to damage to passengers and passenger goods, manufacturers are subject to a strict liability for defects. A product is considered defective if it does not provide the safety that can reasonably be expected. that the state of scientific and technical knowledge at the time when the product was put into circulation was not such as to enable the existence of the defect to be discovered. The manufacturer's liability under the Product Safety Act towards the injured or anyone subrogating into the injured's claim may not be limited or excluded by any agreements or provisions. Any claims against the manufacturer will be time-barred three years after the injury occurred and in any event no later than 10 years after the product in question was marketed. Under the principles on tort established through case law, manufacturers will be liable for damage to business goods if the damage was caused by the manufacturer's negligence. If the product in question is found to be defective, Danish courts will generally assume that this was because of negligence on the part of the manufacturer. Claims against the manufacturer for damage to business goods will be time-barred three years after the damage occurred. Under the Liability for Damages Act, an injured person may claim compensation for loss of earnings, pain and suffering, permanent injury and loss of ability to work. Loss of earnings is calculated as the actual loss of earnings from the time of the accident until the injured returns to work. Pain and suffering is compensated with 195 kroner for each day the injured is off work, up to a maximum of 75,000 kroner. If the injured has suffered permanent injury, this will be converted to a percentage rate representing the degree of injury the injured has suffered. If no agreement can be reached as to the degree of injury, the National Board of Industrial Injuries can be asked to determine the degree of injury. The injured will be entitled to compensation equal to 8,600 kroner per percentage point of injury. Loss of ability to work is likewise converted to a percentage rate, and the injured is entitled to compensation equal to the injured's yearly salary before the accident multiplied by 10 times the percentage rate, to a maximum of 9.029 million kroner. Further, an injured party may claim compensation for loss of provider equal to 30 per cent of the compensation the deceased would have been entitled to in the event of a total loss of ability to work, calculated as described above. In cases of damage to goods, the level of award will be based upon the actual loss suffered. Punitive damages are not recognised under Danish law. If a passenger is killed or injured because of an accident, the carrier must make a prepayment to the person entitled to compensation within 15 days after the person entitled has been identified (see the Aviation Act, Section 111a). The compensation is meant to cover expenses relating to the accident (e.g., funeral costs or medical bills, must be at least 16,000 SDR). The person entitled to damages will be either the passenger or if the passenger was killed, the person who actually paid for the funeral, etc. If the person entitled is the spouse of the deceased, the compensation cannot be less than 158,500 kroner (see Liability for Damages Act, Section 14a). As mentioned, only actually suffered losses will be compensable. Punitive damages are not recognised under Danish law. Hospital and doctors' costs for Danish citizens are generally covered by social security, whereas costs for special treatments such as physiotherapy, chiropractors, etc., will generally not be covered. Costs for medicine are covered while the patient is in hospital and partly covered when out of hospital. The state cannot recover any costs from third parties in relation to support paid under the social security. However, the state may recover any sickness benefit paid to the injured from the responsible third party. Under Danish law, any person involved in or affected by an aircraft accident must report the accident to the Accident Investigation Board Denmark, who will then carry out an independent investigation of the accident. There are, to our knowledge, no additional voluntary reporting initiatives. The most noteworthy judgment from an aviation law perspective in the past year related to Regulation 261/2004 concerning passenger rights and the Travel Package Directive (2015/2302/EU). On 23 January 2018, the Danish Supreme Court made its decision in an appeal case between a number of passengers and an airline company. The case concerned the interpretation of Article 12(1) of Regulation 261/2004; in particular, whether the airline company could deduct compensation paid to the passengers under the Travel Package Directive from compensation due under Regulation 261/2004. Both claims for compensation related to the same delayed flight. The Supreme Court noted that compensation under both the Regulation and the Directive compensated the passengers' loss of time. As such, the Supreme Court found that the passengers would be overcompensated if they received the full compensation under both the Directive and the Regulation. On this basis, the airline was entitled to deduct the compensation already paid under the Travel Package Directive from the compensation due under Regulation 261/2004, with reference to Article 12(1). The Supreme Court judgment mentioned in Section X is a landmark case, which is expected to be of significant prejudicial importance for a great number of Danish court cases where passengers are entitled to compensation both under the Travel Package Directive and Regulation 261/2004. The judgment shows that the general principle under Danish law that a claimant is only entitled for compensation equal to but not exceeding his or her loss also applies in relation to compensation to airline passengers.